Last night we pushed our clocks forward and don’t ask me why 1 hour has made such a difference to our day, but it has. We are like zombies today! This weekend, has truly felt Spring like. We went for a long walk in Regent’s Park yesterday and you could definitely tell that the sunshine had drawn everyone outside to play. Living in England you have to soak up the sun every chance you get! If the sun has come out to play you better take advantage of it for you don’t know when it will be back! The baby ducklings were out and we watched them with their mamas paddle around in the lake. The trees were full of blossoms and the bulbs were in full bloom, the sky was a perfect robin’s egg blue and the sunshine streamed down through the tree branches. In essence, it felt like Spring. 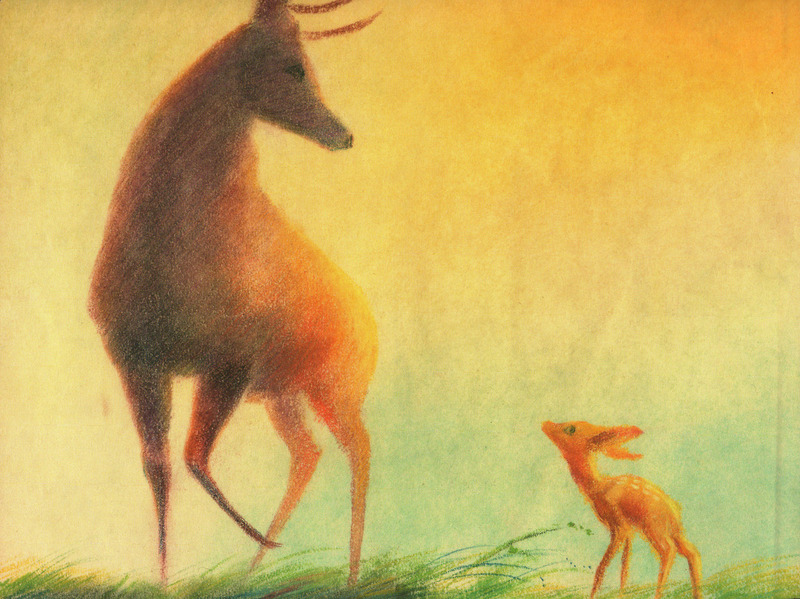 Springtime makes me think of Bambi. 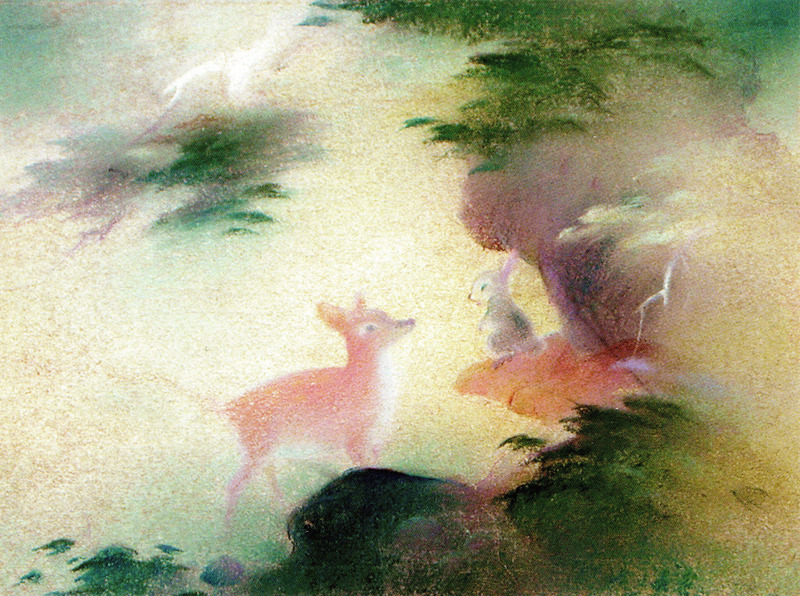 I recently read a beautiful post on the Colossal Blog about the highly talented Tyrus Wong. Born in China in 1910, his family emigrated to the United States when he was 9 years old. His teachers noticed his artistic talent and continued to encourage and nurture it. Which eventually led to a career in Hollywood. From 1938 – 1941 he worked for Disney as an inspirational sketch artist. 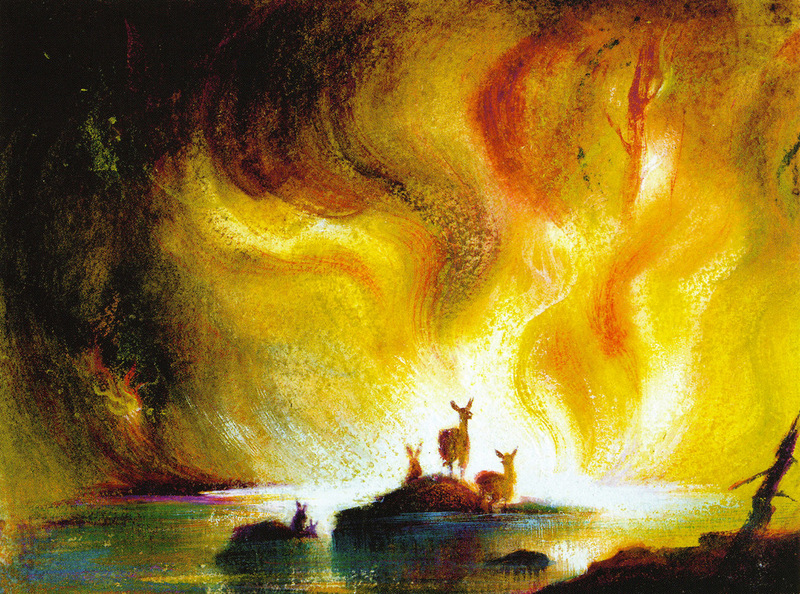 It was his pastel sketches of the forest that served as the inspiration for Bambi. All artists put their own spin on their work. I believe that you can see the artistic influence of his Chinese heritage within his work. Notice how the boughs of the tree are drawn and the rocks are placed. It is almost as if he has drawn a highly stylized Oriental garden design. I know it appears more Japanese in style than Chinese, but I can see a fusion of Asian culture and design. Today Mr. Wong, still lives in California. He is 103 years old. The artists that worked for Disney past and present never cease to amaze me. But for me, their is a nostalgia to the older artists, the likes of Mary Blair, Eyvind Earle and Tyrus Wong. There is magic in their drawings. To read the full article on Colossal click HERE. 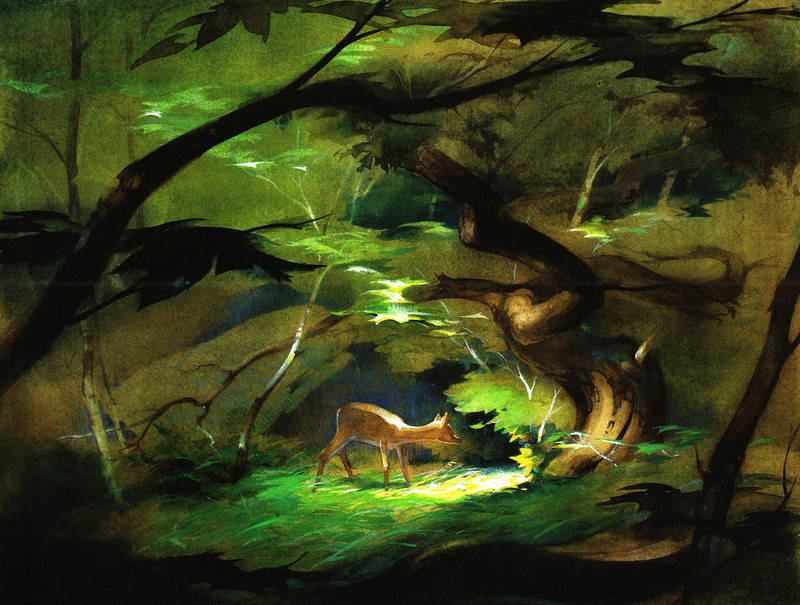 This entry was posted in Life and tagged art, Colossal Blog, Disney, Eyvind Earle, mary blair, seasons, spring, Tyrus Wong on March 30, 2014 by jennifermichie.